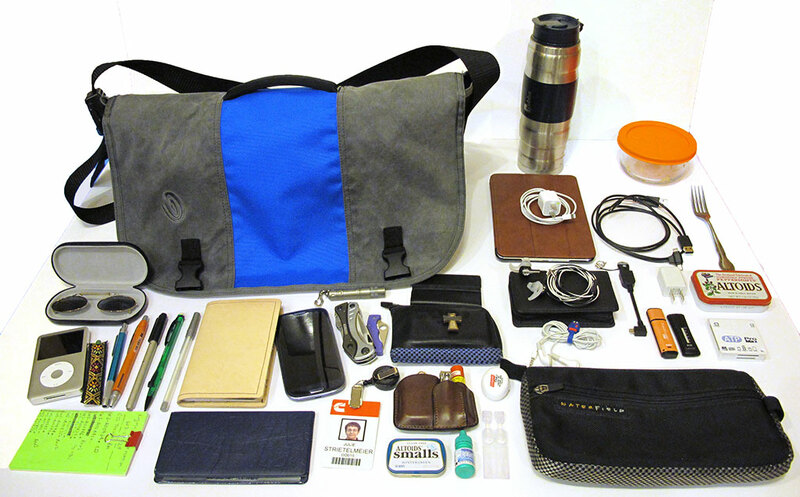 Two months have passed since my first article outlining all the gear I carry with me each day, so it's time to see which items I've dropped and the new gear that I have added. Waterfield Designs Zippered Wallet with two good luck charms that are one good luck charm that is always zipped inside. One is a little metal peace sign charm that I found in the parking lot after my first chemo treatment in March 2011. It felt like the universe was telling me that "everything was going to be ok". The other is a little plastic cross that was given to me during that same time frame. I've been carrying this same exact wallet since December of 2005. 2 short USB cables that have 1 short USB cable that has both mini and micro connectors on one end. 24 oz. Bubba Hero insulated bottle – after reviewing 2 of their other bottles, I ordered this one. It has helped me almost completely kick my lunchtime Diet Coke addiction. I fill it with 5 ice cubes from home and when I get to work, I fill it with cold water and 2 Twinings Cold Brew iced tea bags. By noon I have perfect ice cold iced tea. PocketMonkey – this is a handy credit card sized multi-tool that is made of stainless steel, has 12 different functions and is TSA compliant. 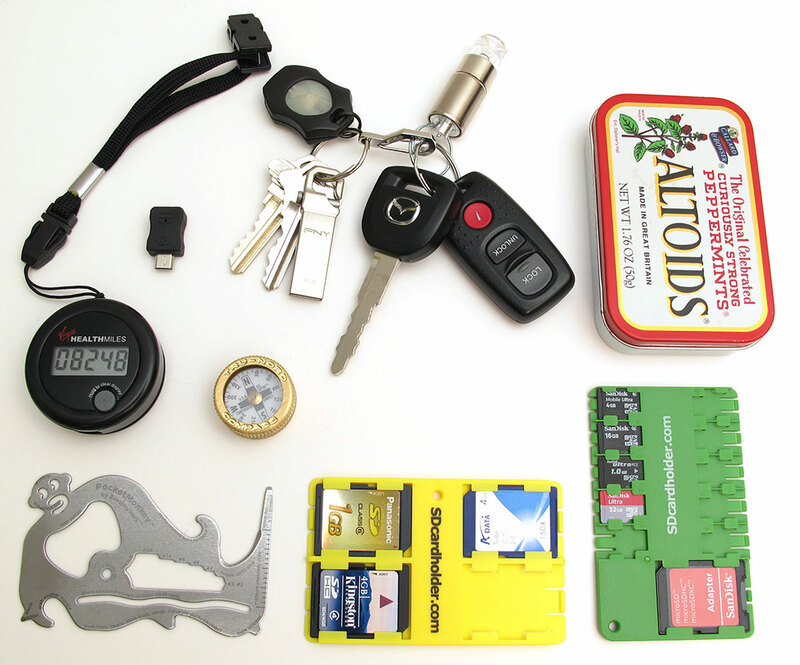 Julie's Gadget Diary – Every day carry update originally appeared on The Gadgeteer on April 30, 2013 at 8:00 am.